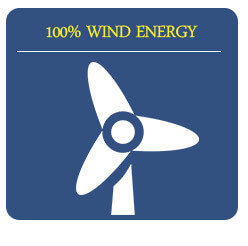 100% Wind Energy: We are pleased to announce that our office is 100% powered by wind energy for our electricity needs. Wind power reduces carbon dioxide and our carbon footprint, plus, it helps eliminate air pollution problems such as smog and acid rain. 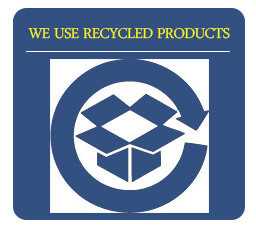 We use Recycled Products: any paper products we use contain at least 50% post-consumer recycled content (including printer paper, paper towels, tissues & bathroom tissue. Even the paper bags that go home with medications and products are made from 100% recycled paper! 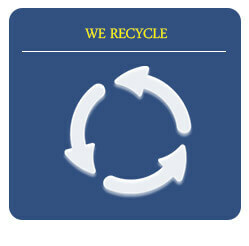 We recycle: All paper, cardboard, aluminum, metal, glass, plastic and even syringe cases and Styrofoam are recycled! Old computers/printers are sent to a facility that specializes in recycling them. Ice packs from medical supplies are re-purposed for patient comfort when needed and to keep specimens cool on their way to the lab. Packing peanuts and bubble wrap are given to local shipping companies for re-use. Our printers use solid ink technology: no toner cartridges to end up in a landfill. X-rays are taken digitally, no chemical processing to go down the drain and fill the Bay, no film, no waste. We replaced our HVAC system with a system that uses 23% less energy than the original, yet provides improved levels of comfort. Pharmaceuticals are never flushed or washed down the drain. Fluorescent lighting is used in most areas of our hospital, using far less power than incandescent bulbs. Outstanding. Everyone we have interacted with, from the vets to the receptionists, is extremely knowledgeable and friendly. Lily especially loves coming to Kingsbrook! !